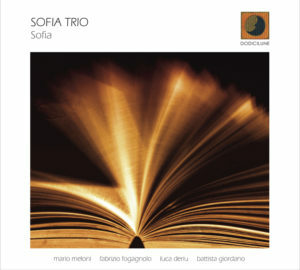 Sofia Trio is a recent project (Summer 2015) that was born in response to the need to integrate different styles of composition as it combines the influences of the contemporary jazz scene. The idea started with the guitarist Mario Meloni and the drummer Luca Deriu but became a real project with the meeting of the bassist Fabrizio Fogagnolo from Milan. The three musicians offer a completely original repertoire that expresses the interaction between styles and colorful cultures of European and Afro-American jazz sound with contemporary music influences. An important feature of the project is the continuous search for a balance between composition and improvisation. In the repertoire live both songs with the classic structure AABA, with large improvised spaces, and songs based on several themes with some solo episodes inserted among them, as well as tracks where there is no improvisation but only an interpretation of the score. The search for a common thread between music “premeditated” and “improvised” becomes the proper style of the Sofia trio. Sofia, from the ancient greek σοφία (sophia), means wisdom, a human characteristic fed by the knowledge that, as Stefano Zenni writes, “rises from the migration: human beings, adapting themselves to any ecosystem, begin to move to increase their knowledge. In this way we transfer cultures, languages, goods. And, mixing ourselves with the inhabitants of different parts of the planet, we produce new life styles that are always porous and vital”. A concept that belongs to the origin of jazz: a porous and vital music that evolves thanks to the mixture of styles and the musical trends that are always changing. The creative process of the Sofia Trio is inspired by and identifies itself with this concept. Sofia Trio’s first performances are in Sardinian Jazz Clubs such as Vinvoglio jazz club Cagliari, ExMe Nobel 26 Nuoro, Abetone music Bar, Library Dessì Sassari and many others. In 2016/2017 the Sofia Trio participates in many festivals such as MusiculturaWorldFestival in Olbia, Rassegna “Be Happy” in Siniscola, Estate Oranese in Orani, the Jazz Festival “Seui in musica” and the International Music Festival “Musica sulle bocche” in S.Teresa di Gallura. In the summer of 2017 their first CD “Sofia” is published by Dodicilune with a special guest, the guitarist Battista Giordano. In 2018 they continue playing in clubs and festivals such as Cala Gonone jazz and Museo Nivola of Orani with another special guest, the saxophonist Javier Girotto. 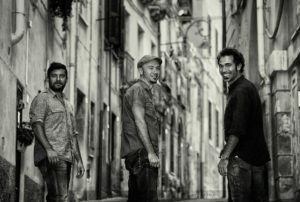 Sofia trio worked with Dodicilune label on the production of a CD (http://www.dodiciluneshop.it/dettagli.asp?idp=234) , already recorded in August at the Casagliana Studio Recording of Raffaele Musio in Olbia. Maestro Battista Giordano says: “an interesting album, full of ideas, great compositions and music”. Paolo Fresu, who in the past contributed to the music education of the three musicians, says: “A mature work, well conceived and well played. A good album”.